Helena has worked in international development for over 25 years, holding positions in various organizations, including AMREF, Oxfam, International Rescue Committee (IRC), Mercy Corps, AED, the Commonwealth Foundation, CRS, in Uganda, Kenya, Sudan, Thailand, Iraq, the Republic of Georgia and the UK. As the Country Director for IRC in Thailand, Ms. Dalton led the closure of IRC resettlement and repatriation programs; she was also instrumental in setting up the IRC Office in London. In the Republic of Georgia and Iraq, Ms. Dalton held senior technical positions in two innovative democracy and governance programs. In Kenya, Helena was a senior manager with the Capable Partners Program, helping national CSOs to respond effectively to the impact of HIV on women and children. Most recently Helena was Chief of Party for a USAID-funded program in Uganda designed to improve the overall health and wellbeing of vulnerable children. Ms. Dalton is a citizen of Kenya and holds an MPhil from the Institute of Development Studies at the University of Sussex UK. Jectone is an accountant who has worked in the non-governmental environment for the last 13 years. 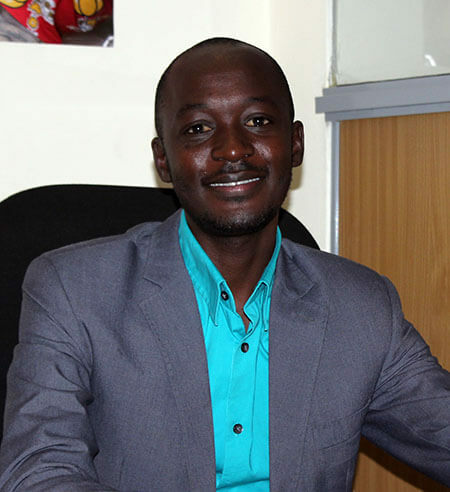 Prior to joining BOMA, Jectone worked as a Finance Officer with the ICCO Cooperation Regional Office for Central and East Africa in Kampala, Uganda, where he was in charge of development portfolios in Ethiopia, Kenya and Uganda. He previously worked as Finance and Administration Officer at the Institute for Education in Democracy (IED-Africa), a non-governmental organization based in Nairobi, Kenya. Jectone studied accountancy at Strathmore University, Nairobi, while practicing as an Audit Associate for four years prior to joining IED. Paul joins BOMA as a Data Analyst based in the Nanyuki office. Paul holds a Bachelor of Science degree in Applied Statistics with Computing from the University of Eldoret and is currently pursuing a Master of Science degree in Applied Statistics at Jomo Kenyatta University of Agriculture and Technology. Prior to joining BOMA, Paul worked for Kantar Millward Brown as a Data Analyst and as Research Associate where he was in charge of planning, implementing and analyzing research studies across Sub-Sahara Africa. He was also a support lead for data visualization partners including Infotools Limited and a key contact on analytics tasks. Paul is happy to apply his research experience, analytics and software skills to optimize BOMAs data acquisition, analytics and reporting needs. Bill joins BOMA from The Information and Communication Technology Authority of Kenya (ICTA) where he served as an ICT assistant. Bill graduated with honors from Masinde Muliro University of Science and Technology with a degree in Computer Science. 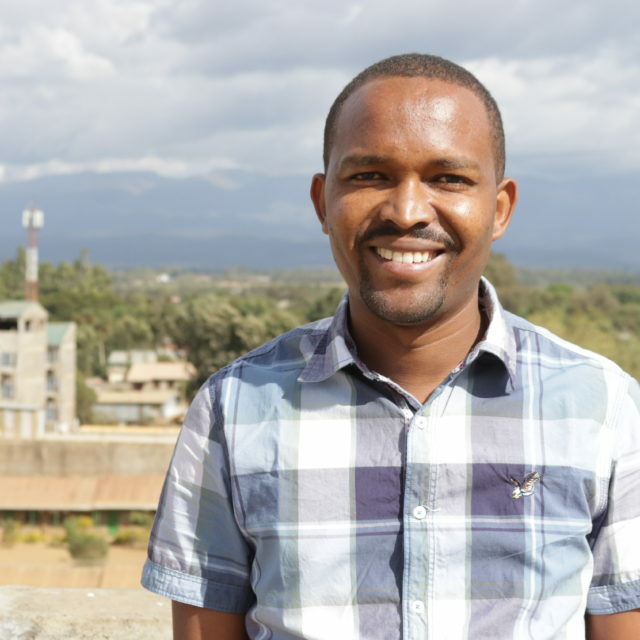 After his graduation in 2015, Bill joined the United Nations Office in Nairobi (UNON) serving as an IT intern and Volunteer in the Technology Unit. Bill is a Cisco Certified Network Associate (CCNA), Certified Cyber-Security Associate (CSA) and Certified Linux Professional (NDG). Bill has developed and deployed mobile apps and stand-alone and web-based computer systems including a Point of Sale (POS) system, Text Encoder Android App on Google Play store and Gobi-Crypt encryption algorithm for information security. Since joining BOMA, Bill has served in the capacity of an IT Associate and helped in Salesforce Administration. Noreen joins BOMA as a proactive and highly skilled Administrative Assistant with 5 years of hands-on experience working in diverse office environments. She is a demonstrated team player who works collaboratively and communicates effectively with all levels of staff. Noreen holds a diploma in Human Resource Management from the Kenya Institute of Professional Studies. 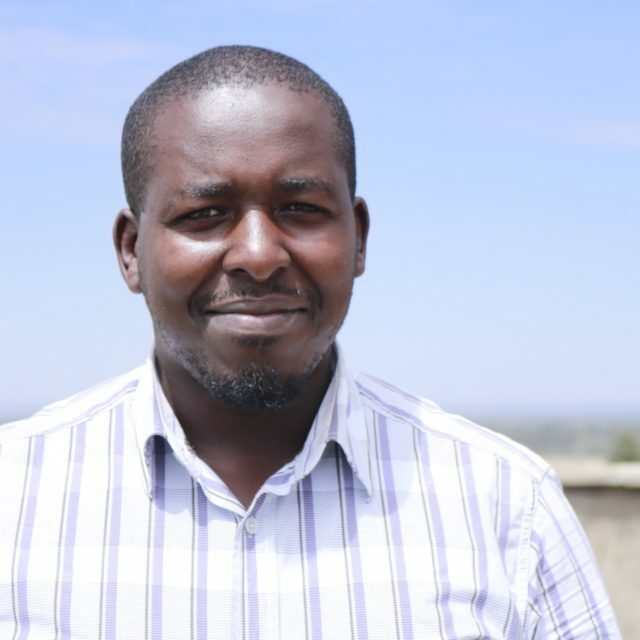 Edward joined the BOMA Project in February 2019 as Finance Assistant in our Nanyuki office. Edward has over six years’ experience working in finance and as a native of Samburu, a deep familiarity with the northern region of the country. He has worked for Lewa Trading and Northern Rangelands Trust, and most recently was at the Berbera Electricity Company in Somaliland. Edward holds a Bachelor’s degree in Business Administration, Accounting and a CPA, part 2 and is currently pursuing part 3. Urvi Kalra is one of the BOMA Project’s 2018-2019 Princeton in Africa Fellows. 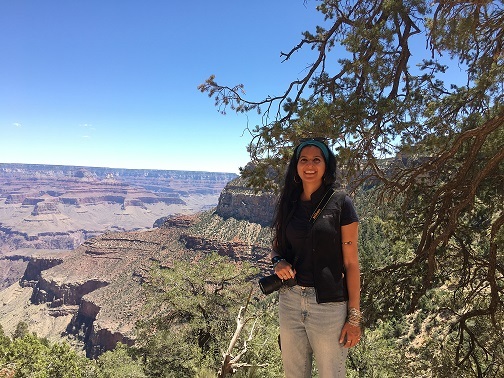 A native of Delhi, India, Urvi graduated from Skidmore College, Saratoga Springs, NY, with a BA in Environmental Studies and Minor in Media and Film Studies. Her choice of major was motivated by her desire to make positive contextual change for vulnerable populations and places. Internships at the Grameen Foundation, UNICEF, and the Rainforest Alliance, as well as a semester in Tanzania, further fueled her passion and helped start shaping a career in sustainable development. As BOMA’s Communications Fellow, she is excited to apply her previous experiences to creating impactful and effective stories for The BOMA Project and the women we serve. 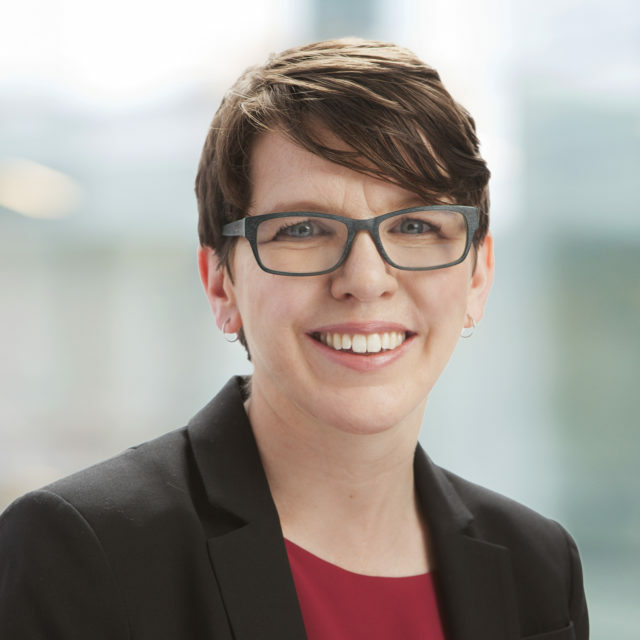 Wendy comes to BOMA after 12 years at the Bill & Melinda Gates Foundation, most recently as Associate Program Officer for Financial Services for the Poor, developing and delivering solutions to drive financial inclusion for the ultra-poor in emerging markets. For more than three years, she worked closely with BOMA as a Program Officer overseeing the Gates Foundation’s investment in BOMA under the Putting Women and Girls at the Center of Development Global Grand Challenge Award. As Director of Expansion and Innovation, Chamberlin will contribute to overall organizational development and strategy with a focus on working with existing partners including the Government of Kenya, USAID, Mercy Corps, Catholic Relief Services and others to customize and replicate BOMA’s model and the Graduation Approach. She will also be charged with sourcing new partnerships and overseeing project and program design. Mbithi conducts in-depth analysis of program data to identify trends or areas for potential course corrections, and presents findings to our team and partners. He comes to us from Innovations for Poverty Action, Kenya where he was Senior Field Officer. He holds a Diploma in Human Resource Management from Kenya Institute of Management and a BA in Social Sciences from Makerere University. Gabriel joins us in our Nanyuki headquarters as Finance Manager responsible for financial management, budgeting and tracking program activities and expenditures. Previously he had held the same position at the Norwegian Refugee Council for South Sudan and Yemen. 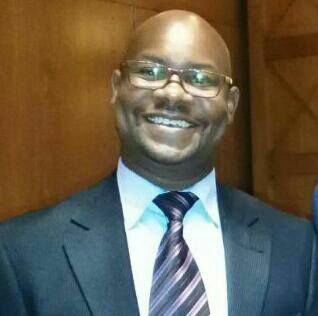 Gabriel holds an MBA in Finance from Africa Nazarene University and a Bachelor of Commerce from Catholic University of East Africa. He is also a Certified Public Accountant. 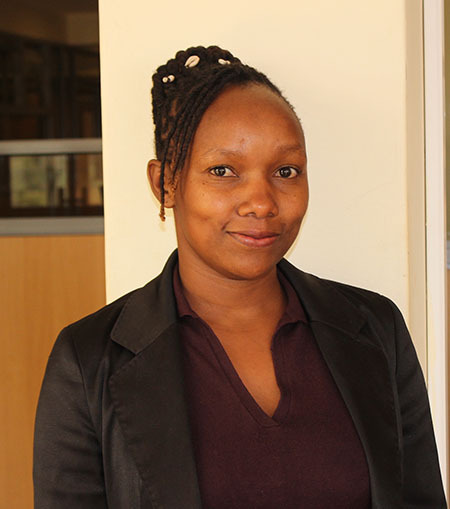 Monica joins BOMA as an IT officer in the Nanyuki headquarters. Monica graduated from Egerton University with a B.S. in Computer Science. Prior to joining BOMA, she worked as a project manager and technical support lead for Impax Business Solutions. She has also worked for Techbiz Limited as a technical support lead, and as lead technical consultant for the SAP HANA and distributor management systems. Monica has extensive experience in the deployment, training and support of computer systems. Kendi graduated in 2010 from Catholic University of Eastern Africa with a Bachelor of Commerce. After a year with Catholic Hospital Wamba, she joined Northern Rangelands Trust in 2011, working first as an accounts assistant and then as a finance assistant. 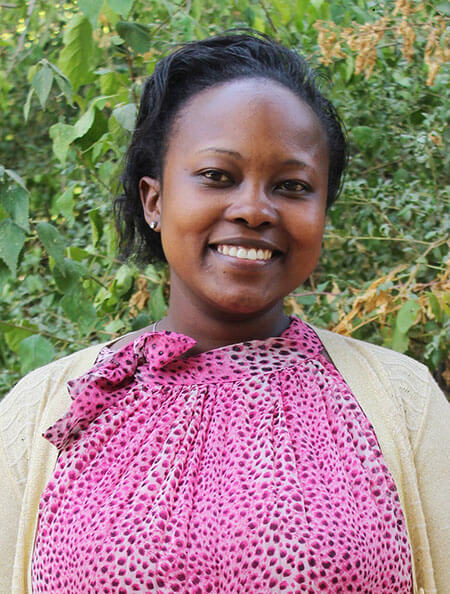 She joined BOMA in October 2013 as a finance and administrative assistant, based in our Nanyuki headquarters. She’s a native of Samburu County in Northern Kenya. 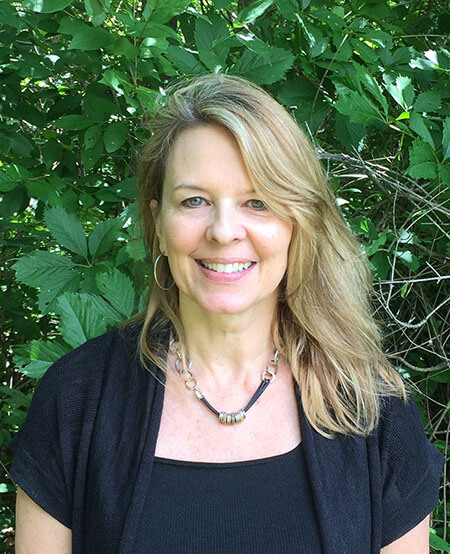 Erin Lewis joins BOMA as Regional Technical Advisor based in our Nanyuki, Kenya headquarters. Reporting to the Regional Director, Erin will support high-quality program design and delivery and continuous improvement of BOMA’s poverty graduation model. Erin has 10 years of experience with design and implementation of development and relief programs focused on livelihoods, financial inclusion, and food security. Prior to joining BOMA, Erin worked in programming positions with Catholic Relief Services in several countries: Togo, the Central African Republic, Burundi, and Rwanda. She has worked on adolescent health and urban agriculture initiatives in the urban US and was a Peace Corps Volunteer in Uganda. Erin holds an M.A. in International Political Economy and Development from the Fordham University, and a B.A. in Development Studies from Brown University. Fridah is a Program Management, Market Access, Value Chain & Agri-business Specialist with over 9 years’ experience implementing projects with INGOs., Prior to joining BOMA she served with the SNV Netherlands Development Organisation, ACDI/VOCA, Terra Nuova East Africa (TNEA) and Ideal Business Links Limited (IBL). She holds a Master of Science (MSc) in Agricultural and Applied Economics from Egerton University, Kenya & University of Pretoria, South Africa and a Bachelor’s Degree in Agribusiness Management, from Egerton University, Kenya. 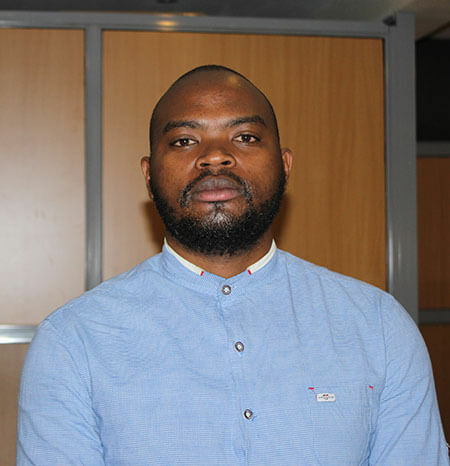 Stephen Mbaabu Karuntimi joined BOMA in November 2018 as our Monitoring, Evaluation and Learning Manager, working on design and implementation of BOMA’s M&E systems and the development of our learning agenda. Prior to joining BOMA, Stephen was Senior Manager, Monitoring, Evaluation & Data Analytics for USAID’s IntraHealth International; and the Walter Reed Project for the United States Department of Defense, Kenya Medical Research Institute (KEMRI). He holds an M.S. in Biometry from the University of Nairobi, Kenya, and a B.S. in Mathematics from the Catholic University of Eastern Africa, Nairobi, Kenya. As I.T. Associate, Duncan provides support to our teams on our Salesforce and TaroWorks platforms, and helps diagnose, troubleshoot and resolve a range of software, hardware and connectivity issues for our office staff. Duncan holds a Degree in Business Information Technology from Mt. Kenya University (Thika). Christine comes to BOMA after working for ten years in Northern Kenya with Practical Action and Rural Focus. 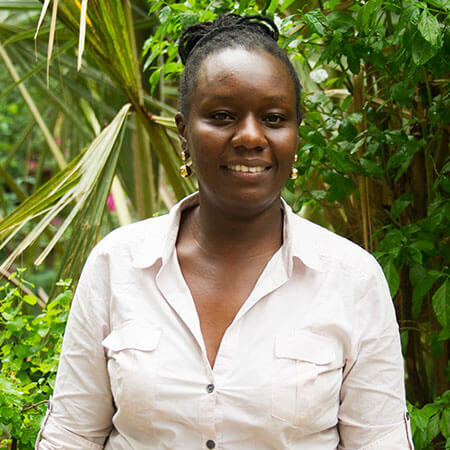 Skilled in community training, using participatory methodologies as well as presentations, report writing and project planning and monitoring, Christine has a BS from Egerton University and a Masters in Project Planning and Management from the University of Nairobi. 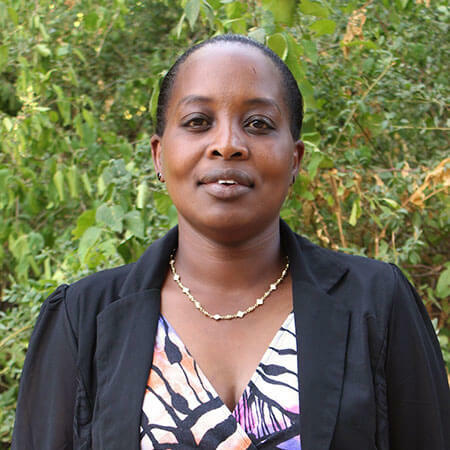 Dorcas is our Program Officer based in our Nanyuki headquarters. She is a highly dedicated professional with over 8 years of experience in all aspects of project coordination and implementation within the NGO and humanitarian space, most recently at Mercy Corps. Prior to that she has worked at Helpage international, Oxfam International and World Food Program. 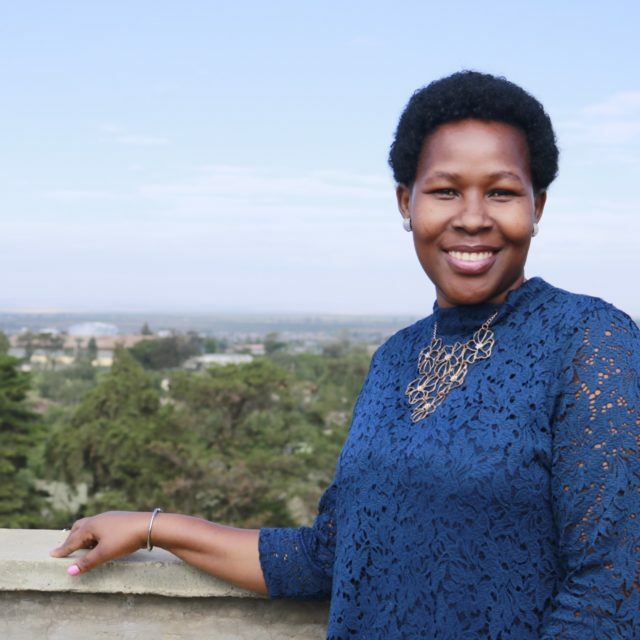 She holds a Bachelor of Arts, Project Planning and Management from Nairobi University, and a Diploma in Development studies and Social Work from Kenya Institute of Professional Studies. Megan Angulo joins BOMA as our 2018-2019 Princeton in Africa Monitoring & Evaluation Fellow. 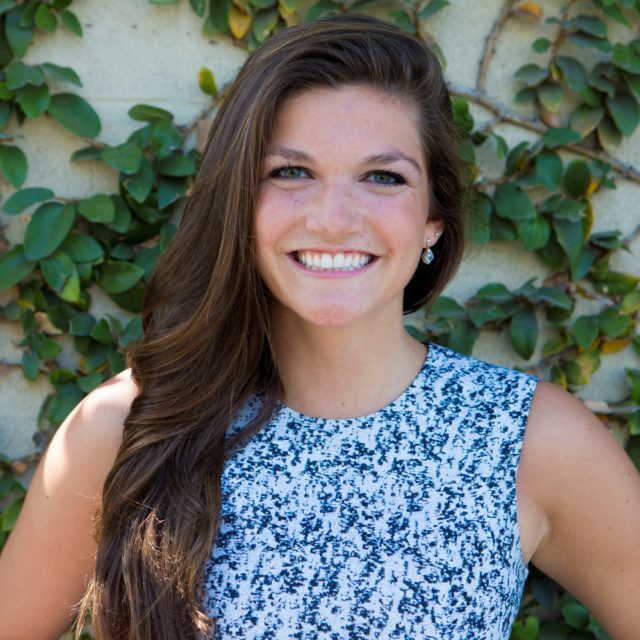 Megan graduated from the University of Southern California in May 2017 with a major in Psychology and minor in International Relations. She has internship experience in the non-profit sector, as well as a strong background in research. Prior to joining BOMA, she worked as director of a research lab that studies non-democratic politics. She looks forward to supporting BOMA in its data collection, analysis and reporting needs. 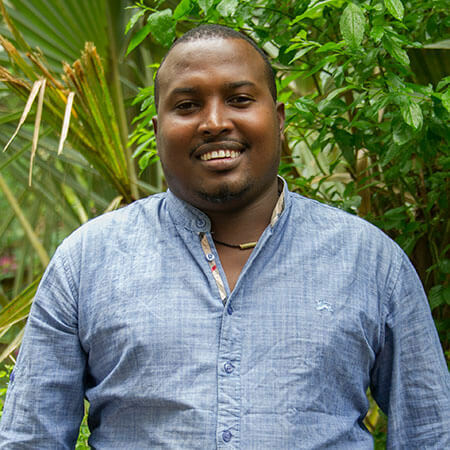 Sam works in all aspects of program management and development, including livelihoods and livestock market systems, capacity building, and partnership management in our Isiolo office. One of his biggest priorities and responsibilities at BOMA is managing our role in the USAID-funded Kenya Livestock Market Systems project, under an award from ACDI/VOCA. Sam is a people-focused leader with 10 years’ experience in Program Management in the areas of poverty graduation, resilience, livestock market systems, natural resource management, WASH and governance in the Arid and Semi-Arid Lands (ASAL’s) in Kenya and Eastern Africa. Sam came to the BOMA Project after having worked with BOMA as Program Manager for the USAID FTF Kenya Livestock Market Systems Activity. Prior to that role, he was with Land O’ Lakes International Development as Livestock Production Advisor; and Practical Action as Goal Specialist and Head of Food, Agriculture and Disaster Risk Reduction Program. He has also served as the Kenya Representative to the Adaptation Fund NGO network. 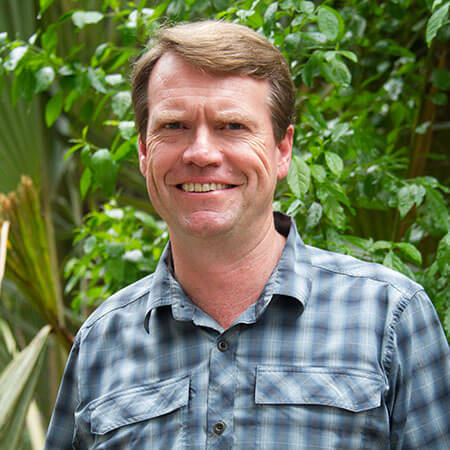 Sam holds Masters degrees in Climate Change and Adaptation and Project Planning and Management, and a Bachelor’s degree in Veterinary Medicine, all from the University of Nairobi. Aziza brings her passion for good health and nutrition for vulnerable populations to her role at BOMA. She will be working to build capacity in one of our new regions and help participants achieve self-sufficiency through livelihood opportunities. She holds a diploma in Community Development and Social Work from the Technical Institute of Kenya and has a certificate in pharmaceutical technology. Most recently she was a Community Mobilizer with BRICS (Building Resilience in Civil Society). 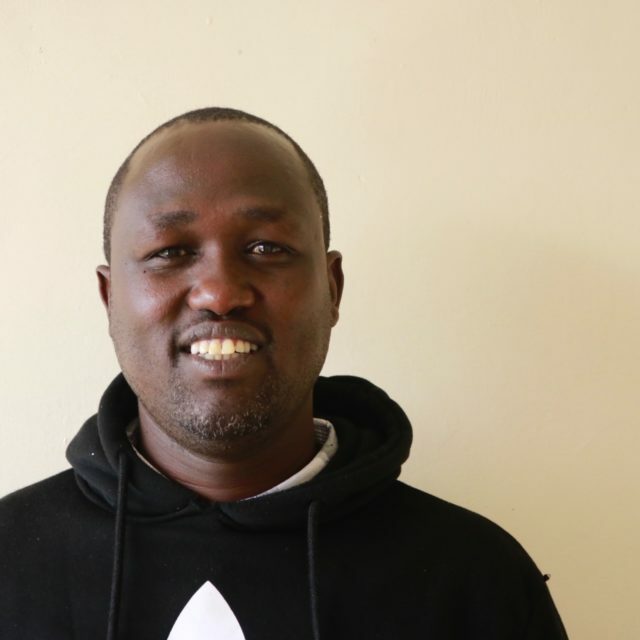 Boru is BOMA’s new Monitoring & Evaluation Officer in Isiolo, responsible for day-to-day-management of BOMA’s rigorous field-based monitoring and evaluation activities. He holds a degree in Accounting from Kenya College of Accountancy University (KCAU) and is currently studying for a Degree in Governance, Leadership & Election at Catholic University of East Africa (CUEA). 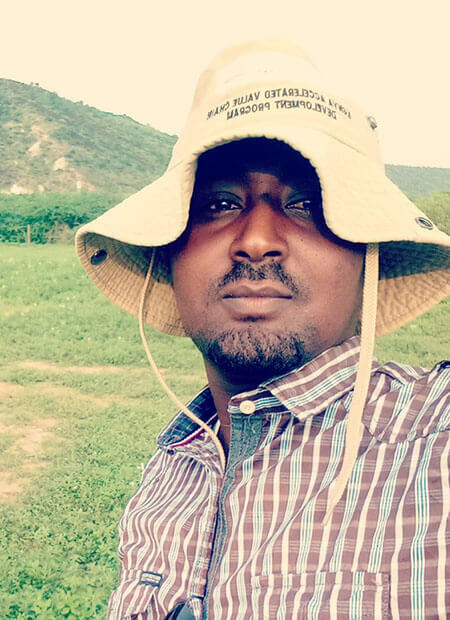 Previously, he was a Project Assistant on the Feed the Future project with the International Livestock Research Institute (ILRI), and was involved in implementation of the Accelerated Value Chain Development (AVCD) program in Isiolo County. 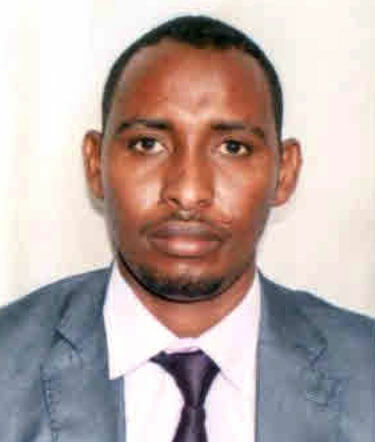 He has also worked as a Research Assistant for Johns Hopkins University, conducting interviews on pastoral conflicts, pasture scarcity and climate change in Isiolo County. Musa tracks and recommends economically viable arid-land livelihood activities in the communities where we work and helps build diverse business opportunities for our participants. He holds a degree in Project Planning and Management from the University of Nairobi. Before joining BOMA he was a Program Officer and Research Coordinator with the Merti Integrated Development Program in Kenya. 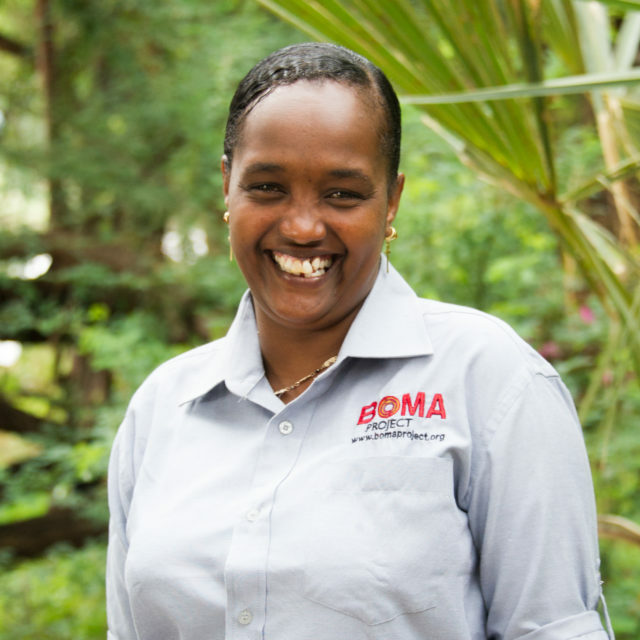 Samiti joins BOMA as the Regional Manager for the Samburu Office. He comes to this position with seven years of teaching business and mathematics in South Horr and two years working for the Pastoral Governors (PGT). He has received a Degree in Education from the University of Nairobi and an MBA in Finance and Accounting from Mount Kenya University. 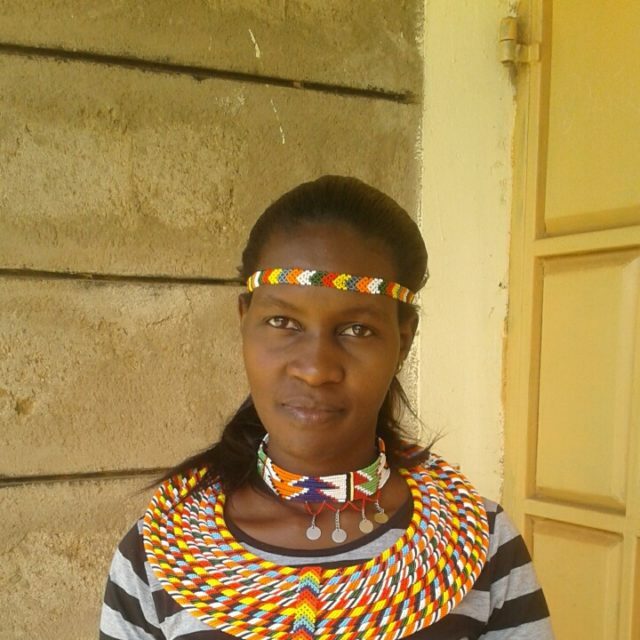 Bety is BOMA’s Markets Linkages Officer in Samburu. She is a graduate of Laikipia University and holds a Bachelors Degree in Commerce with majors in Finance and Banking. 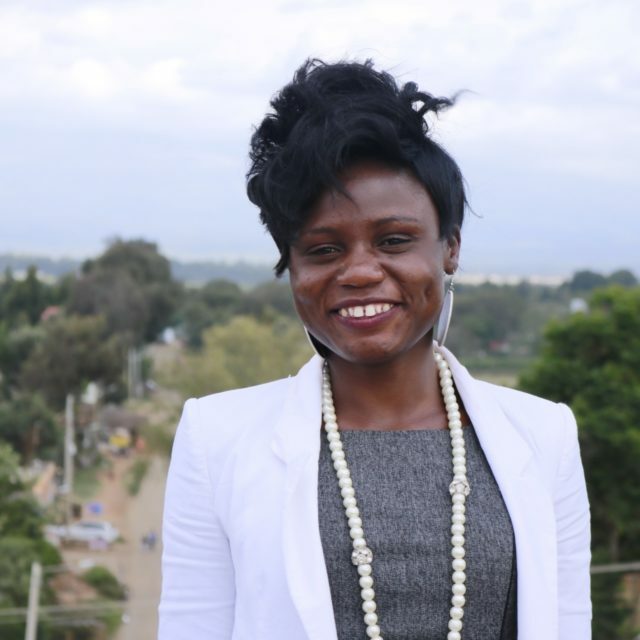 She joined the BOMA team in September 2017, and is responsible for markets analysis and assessments, capacity building for BOMA participants and staff, markets linkages, livestock value chain and promotes financial access and inclusion. Prior to joining BOMA, she worked with various organizations including, Kenya National Bureau of Statistics (K.N.B.S) and Afya Timiza – Amref. 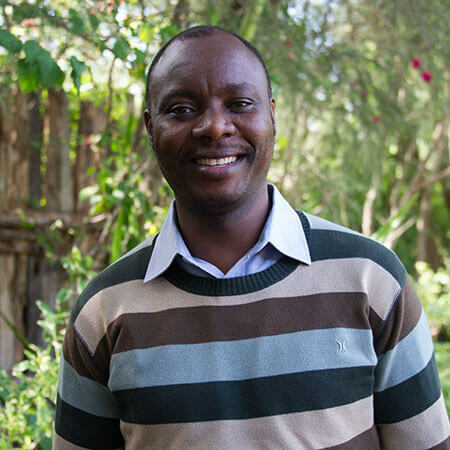 Thomas joins the BOMA Project after eight years of serving as a program officer with World Vision Kenya (4 years) and Child Fund Kenya (4 years). He also worked with the International Labor Organization to combat child labor in Kenya. Thomas earned his diploma in Community Development from Kenya Institute of Social Work and his undergraduate in Development Studies at Mount Kenya University. Clearly dedicated to improving his country, he now serves as the senior field officers in Samburu county. Stephen Leshorono joins BOMA after having worked as a program officer at Childfund, Kenya and later as a county resident monitor at Water Sector Trust Fund in Turkana, Samburu and West Pokot Counties. Stephen holds Diploma in Business Management and a Diploma in Project Management from Kenya Institute of Management and is currently pursuing a Bachelors of Arts degree in Project management Kenyatta University. 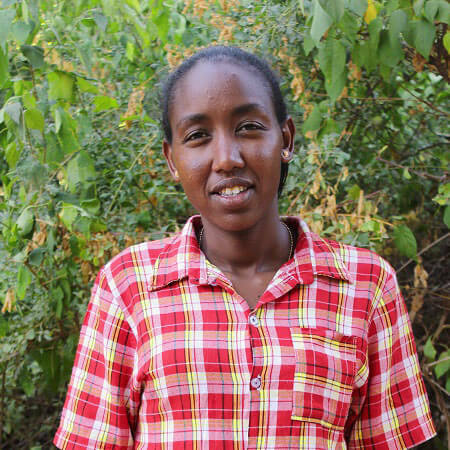 Saruna is the Office Administrator for the Samburu office. 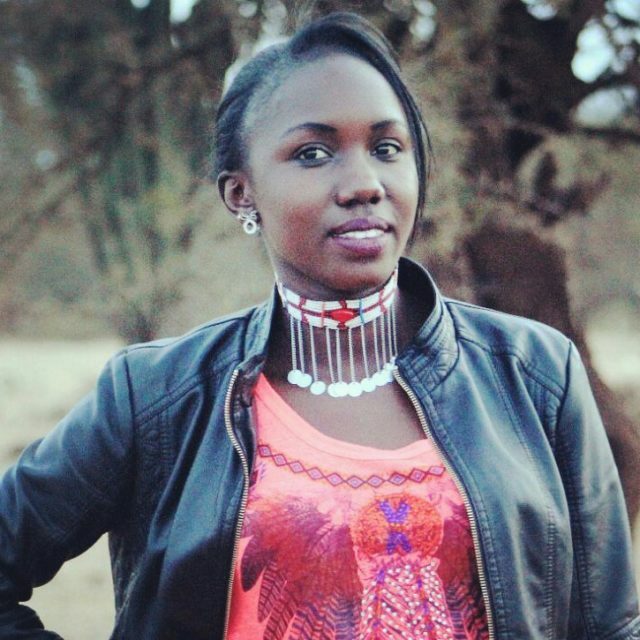 Born in the Samburu consitutency, Saruna holds a diploma in accountancy from the Technical University of Kenya. She has previously worked with Defense Forces Canteen Organization as a shop assistant and accounts clerk in the finance department as well as with Industrial and Commercial Development Corporation. 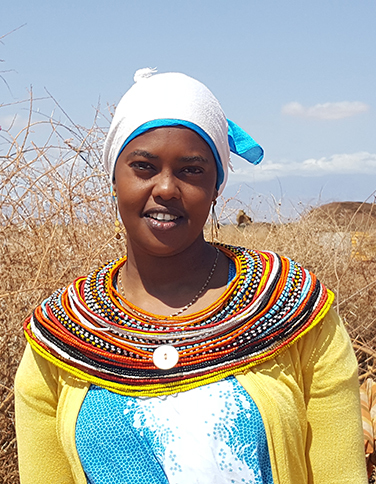 Sarah grew up in Maralal, and now works as the first female Field Officer in the new Samburu office. She earned her Bachelors Degree in Education from Laikipia University, as well as a diploma in Computer Studies from Eldoret Polytechnic. Additionally, Sarah has been able to take a variety of short courses and receive on-job trainings. 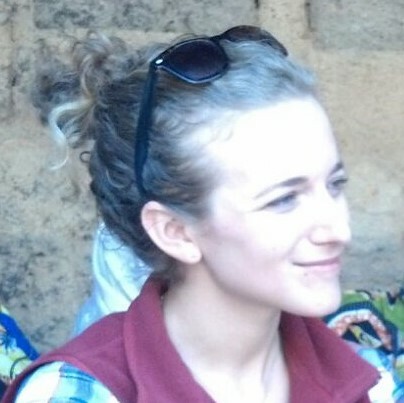 Most recently, Sarah worked as a Project Officer for Anglican Overseas Aid, where, for four years, she managed the partnership in Samburu County, aiding maternal child health. Sarah also has an additional four years of work experience with Compassion Kenya, as the Director of a Child Sponsorship Program. Isabella Lengopito is an accomplished, compassionate, and results driven professional with over three years of progressive experience working with children in various capacities, including working as a project officer with KIBA CDO, and as an untrained teacher with Kisima Mixed Day School and Karai Mixed Secondary School. Isabella graduated from the University of Nairobi with a Bachelors in Education Arts. Meshack is based in BOMA’s field office in Marsabit. 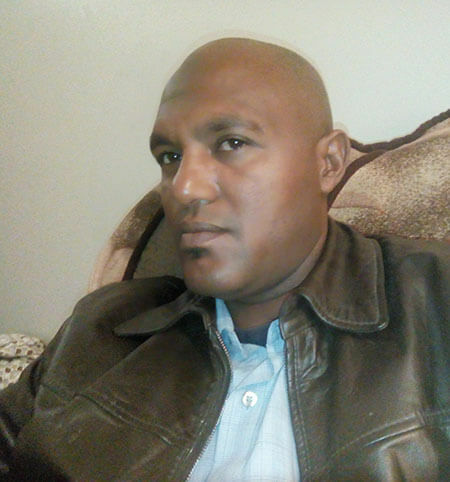 He is originally from Ngurunit, and aside from his time spent at university, he has lived throughout Northern Kenya. Meshack has a certificate in public relations and a diploma in human resources, both from the University of Nairobi. He is currently pursuing his degree in business administration from Kenya Methodist University. 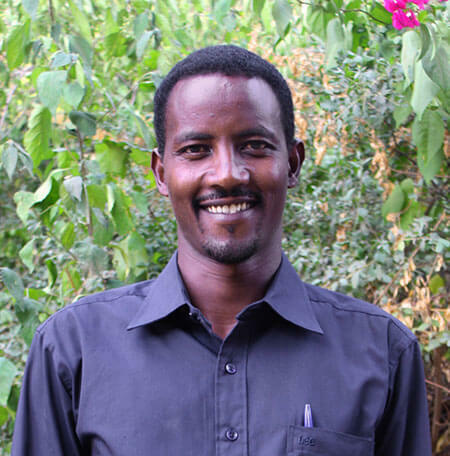 Jeremiah has worked with BOMA for three years as the Monitoring and Evaluation Officer in the Marsabit office. 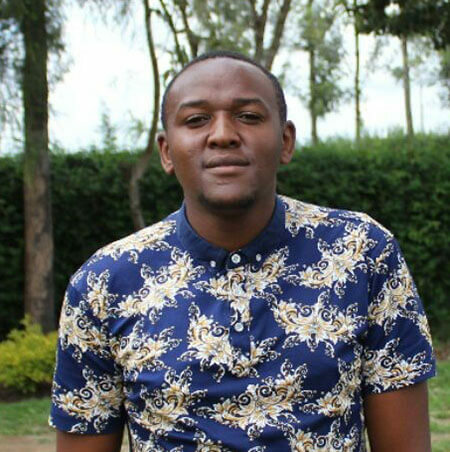 Jeremiah earned his Bachelors degree in Social Work from Nairobi University in 2013 and is currently earning his Masters degree in Monitoring and Evaluation at Maseno University. 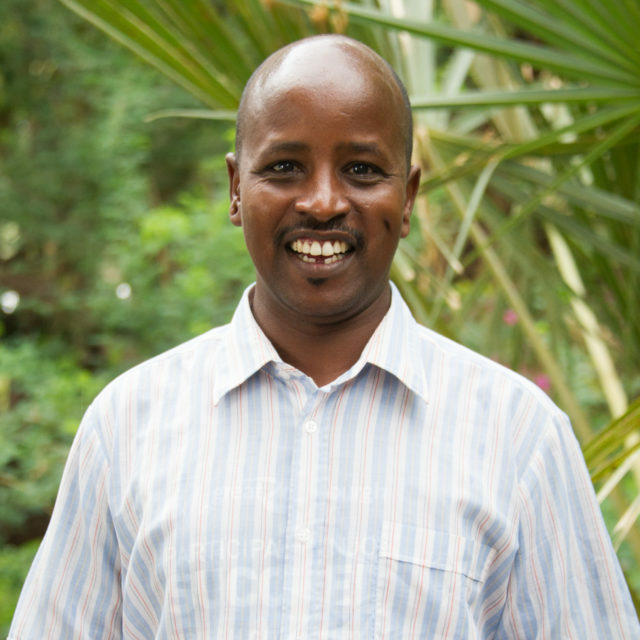 Before joining BOMA, Jeremiah worked for the county governments Ministry of Education in Marsabit as a facilitator. Jeremiah has also worked with a variety of NGOs including ILRI, World Vision, and IPSO SYNOVATE, where he worked as a research assistant. 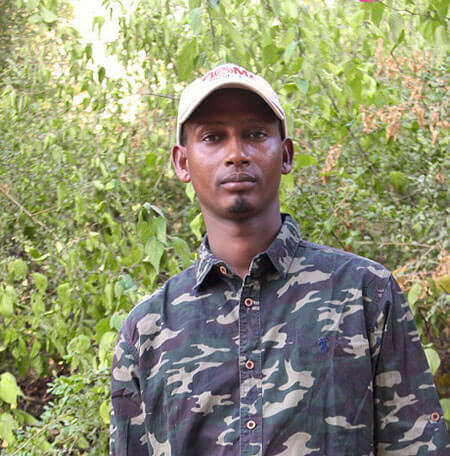 Jeremiah is from Ngurunit and currently lives in Marsabit. David joined BOMA in 2012 after working for the Kenya Red Cross, CARE International, and the International Livestock Research Institute (ILRE). He was promoted from Village Mentor to Field Officer in 2015. 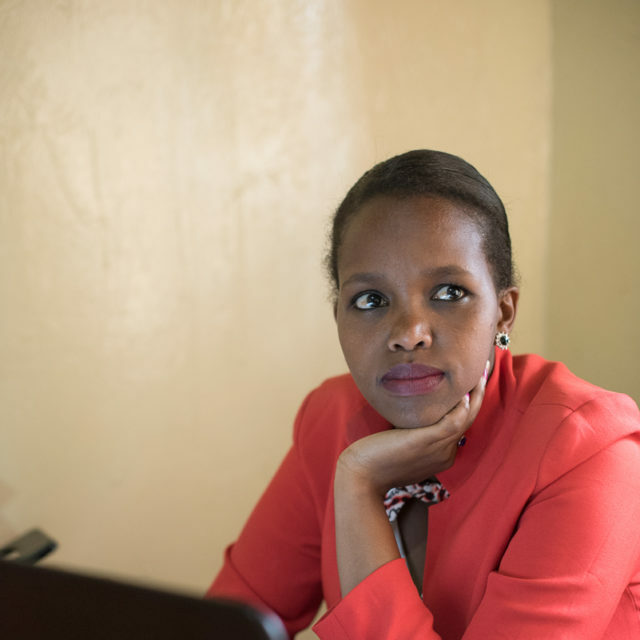 Mariana joined BOMA in December 2013 as office administrator in BOMA’s field office in Marsabit Town. She attended secondary school in Laisamis, attended the Imenti Secretarial and Computer College in Meru, and earned a diploma in computer studies from Digital Computer College. 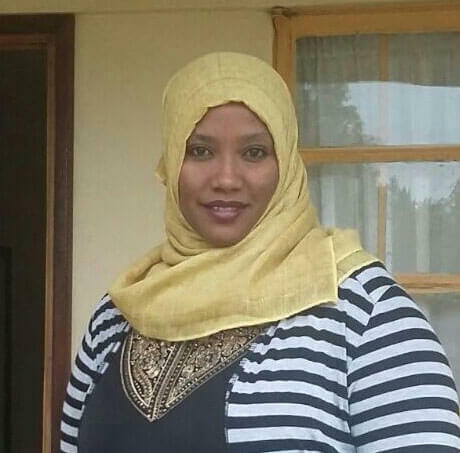 She has worked as an assistant at Marsabit Boys Secondary School, Laisamis CDF, Cyber Com Marsabit and Meru National Park. 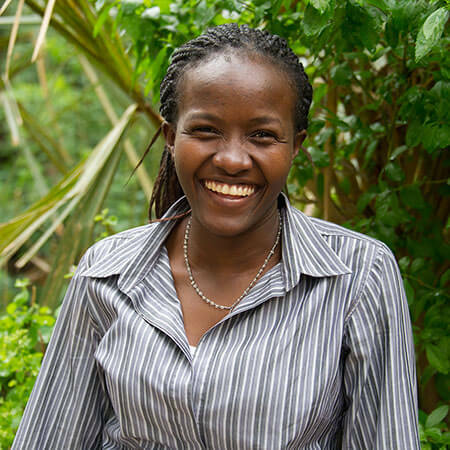 Celestine joins the BOMA team as our second female Field Officer. Celestine has both a certificate and degree in Community Development from St. Paul’s University, and she has previously worked with the Red Cross Society, Radio Jangwani 106.3, and Kargi and Chalbi Primary Schools. Celestine will be based in BOMA’s field office in Marsabit. 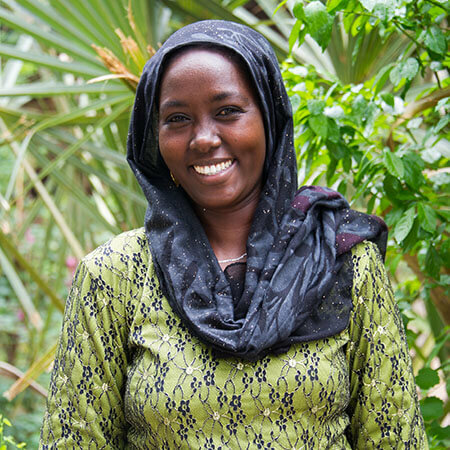 Julieta was born and raised in Wamba, in Marsabit County, where she now mentors 55 business groups and 7 savings groups. She heard about the BOMA Project from a friend and saw the good that BOMA was doing in her community and wanted to be a part of this team. Prior to joining BOMA, she interned with the District Commissioners office in Meru. 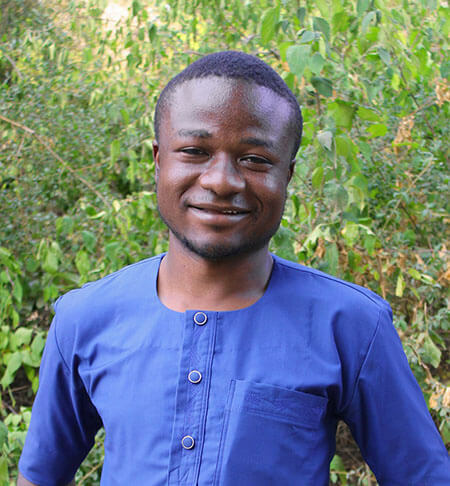 Semeji is BOMA’s part-time staff in Laisamis District, providing field support and securities for all of our training programs and grant disbursements. He is referred to as the “entertainment mentor” for his gift of making everyone laugh and for his soulful warrior songs. Sabdio received a certificate in sustainable agriculture and rural development from Baraka Agricultural College in Molo. She first worked with CARE International as a registration clerk and then with Solidarity International as a food security promoter. 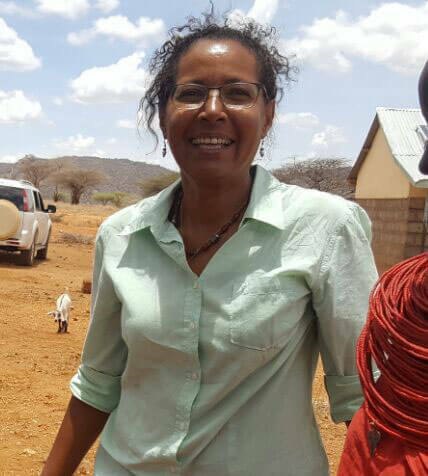 Sabdio has served as a community-based monitor with the International Livestock Research Institute (ILRI) and more recently with the Independent Electoral and Boundaries Commission (IEBC) as a clerk and deputy presiding officer. She also brings monitoring and evaluation experience from Research Guide Africa as an enumerator. 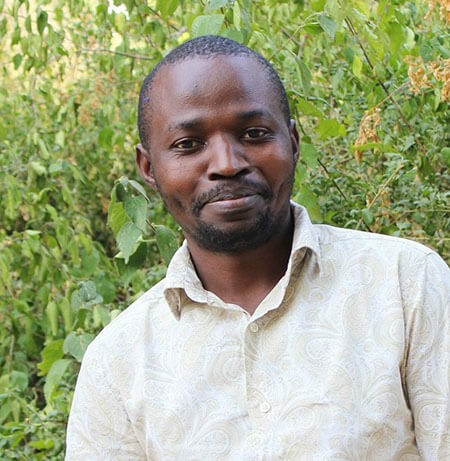 As Graduation Adviser in our fast-growing Turkana location, Francis works on all aspects of program implementation. Francis joined the BOMA Project from Kenya Aids NGO’s Consortium (KANCO) where he was spearheading the governance and accountability program funded by USAID alongside a community TB program funded by the Global Fund. Prior to that, Francis worked at the Kenya Livestock Marketing Council (KLMC) on strengthening livestock marketing systems for a resilience program funded by USADF. He has also worked for World Vision Kenya and Share International in different leadership capacities. 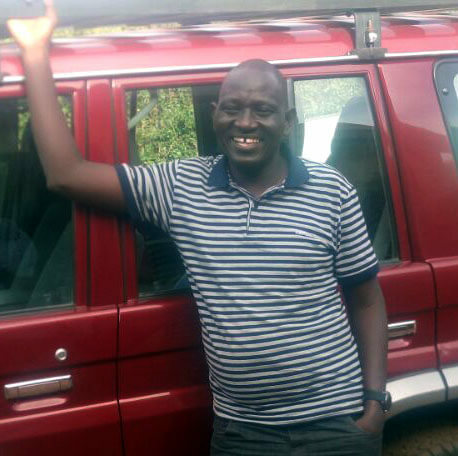 Francis is a Doctorate student at Kabarak University pursuing a PhD in Business Administration (Strategic Management). He holds a Masters of Science in Development Studies from Jomo Kenyatta University, a Bachelor’s Degree in Development Studies from Mount Kenya University, a Diploma in Human Resource Management from MOI University, and certificates in personnel management and industrial relations and community development from the University of Nairobi and KISWCD respectively. Francis also studied Theology where he attained a Diploma in Missions and Church Administration from SIMI and Associate Degree in Theology from Florida Beacon College and Seminary. 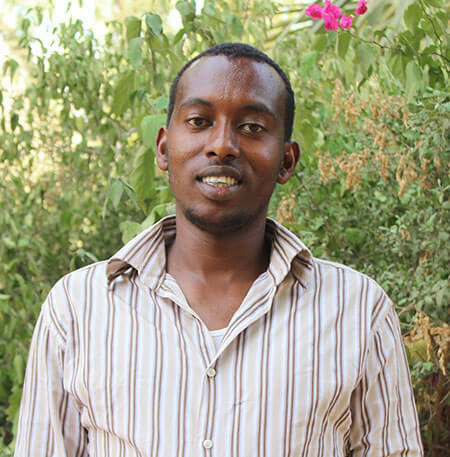 Abdi joined BOMA as a Graduation Advisor in Wajir County in January 2018. He holds a B.A in development studies from Mt. Kenya University, and a Diploma in community development from the Kenya institute of social work and community development, (KISWCD) Nairobi. Abdi comes to us after having worked as the SCOPE registration Officer at Danish Refugee Council (Dadaab) for Somali returnees funded by WFP. Prior to that he was Cash and Market Officer at ICRC, an unconditional cash transfer programme in Somalia based in Nairobi. 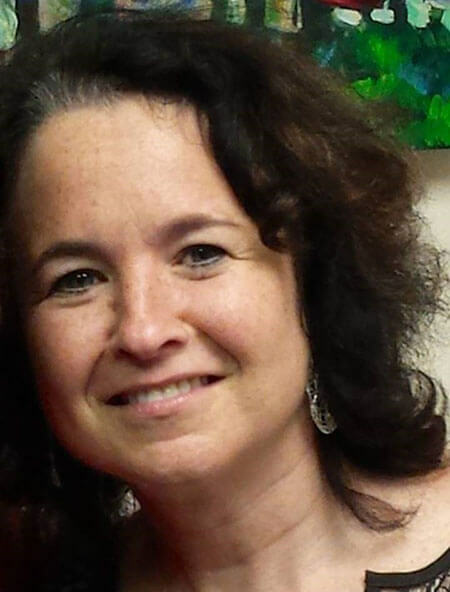 Kathleen has more than 20 years in nonprofit fundraising for African causes. After 12 years as BOMA’s CEO, Kathleen is stepping back from that role, while continuing to champion BOMA on all fronts including public awareness, fundraising and donor cultivation. Kathleen graduated from St. Lawrence University with a B.A. in government; as a SLU student, she participated in the Kenya Semester program. 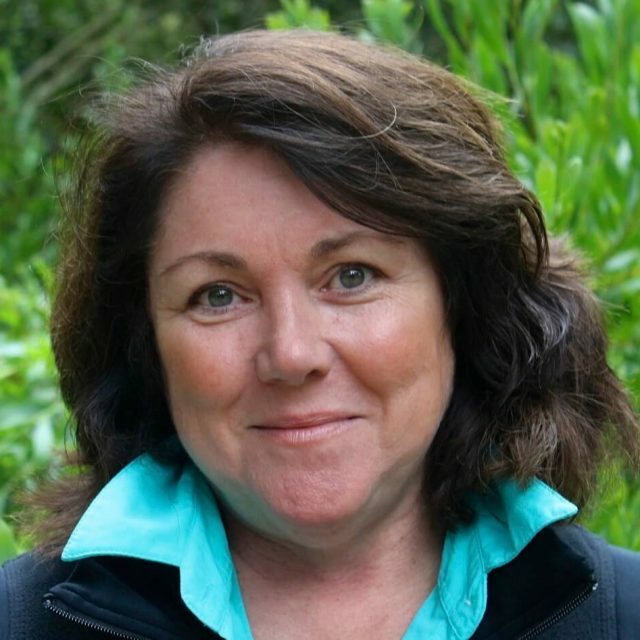 Susan has over 20 years experience in economic development programs, particularly in Africa. Before joining Boma she served as director of technical services and strategic partnerships at Land O Lakes International Development, a non-profit organization affiliated with the agricultural cooperative. Susan also worked for 17 years with the international development non-profit TechnoServe, in roles including senior director for program development, interim country director for Kenya, and deputy director of Africa operations. There she developed and managed innovative public-private partnerships between agribusinesses and emerging market farmers and small and growing businesses. Susan also supported agriculture development programs in Asia and Africa at VOCA. Susan was a Peace Corps Volunteer in Senegal. She holds a MA in International Transactions from George Mason University and a BA in International Studies from Michigan State University. Steve has 30 years of financial experience in international banking, real estate development and social services. 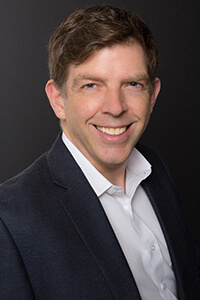 After working in London, Chicago and New York as an investment banker with expertise in capital markets and commodity finances, Steve turned to real estate development to enable him to stay closer to home and be active in his local community in the Hudson Valley. Serving on the boards of several nonprofits, includes years as Vice Chairman of Nyack Hospital, Steve most recently worked as CFO for Rockland County’s largest senior services agency. Steve spent his childhood years in Aden, Yemen and the rolling downs of Sussex, England before moving to the U.S. in 1986. He has a B.A. (Hons), M.A. in philosophy, politics and economics from Oxford University. 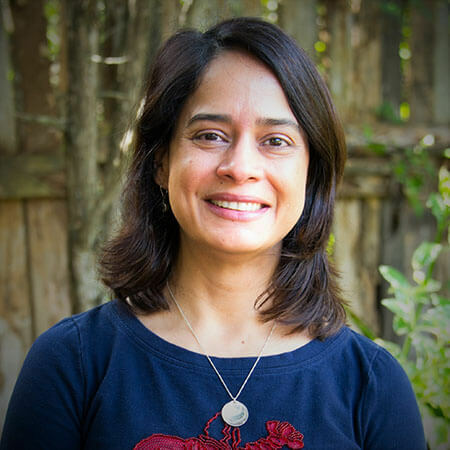 Jaya has over 15 years of experience in nonprofit management and fundraising. Prior of joining the BOMA Project, Jaya served as the Executive Director of South Africa-Washington International Program in Washington, D.C., the Executive Director of Suffolk Partnership for Healthy Community in Suffolk, VA, Director of Global Health Programs at Physicians for Peace in Norfolk, VA, and the Director of Research for Physicians for Social Responsibility in Washington, D.C. As an experienced nonprofit leader and manager, Jaya has worked and travelled extensively in Africa. In addition to her management and fundraising expertise, Jaya has published numerous articles, issue briefs, reports and books chapters on issues ranging from global and community health, international security, nuclear nonproliferation and arms control, nuclear energy, and military budget and spending. She has provided briefings on these topics to members of the House of Representatives, the United States Senate, and the United Nations. She has been interviewed and quoted by many news sources including Reuters TV, CNN Money, the Associated Press, the Times of India, the Times News Service, National Public Radio, and the Voice of America. Jaya holds master’s degrees in International Studies from Old Dominion University in Norfolk, VA and in Political Science & Public Administration from Benares Hindu University, Varanasi, India. Jaya completed her Ph.D. course work in International Studies at Old Dominion University in 2000. 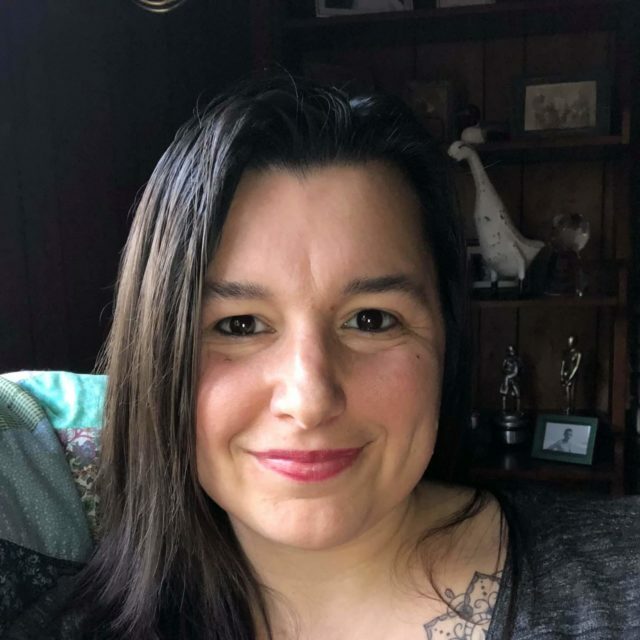 Nicole made the move to Vermont after a twenty-year career in media in New York City, most recently as the Associate Publisher, Marketing, for Cosmopolitan Magazine and Cosmopolitan for Latinas. The daughter of two Peace Corps volunteers, Nicole had long been interested in redirecting her career to the non-profit sector. She joined the BOMA team in January 2017, and is responsible for guiding the strategy for all communications, website, public relations, donor messaging and collateral to consistently articulate BOMA’s mission, vision and impact. Her previous roles also include marketing, events and communications at PEOPLE and ELLE magazines. She is a graduate of Phillips Academy, Andover, and holds a BA in Art History from Smith College. Deborah has over 25 years of financial management and administration experience with for-profit and nonprofit organizations throughout New England. In her career, Deborah has consistently decreased costs and maximized resources utilizing her fluency in software integration and proficiency in numerous accounting and finance systems. Prior to joining BOMA, Deborah served as the financial manager for two regional social services and community health agencies in Maine. 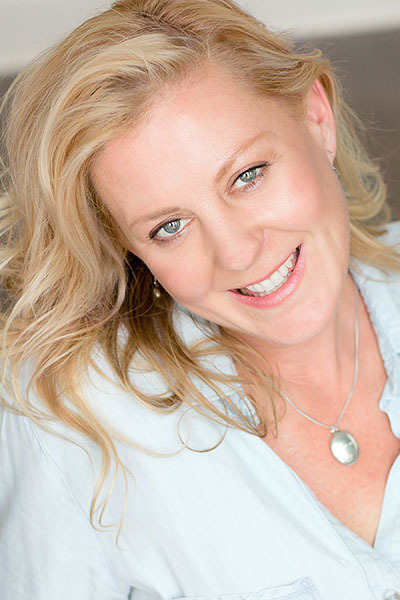 Deborah is passionate about mission driven organizations and is an active member in local community organizations. Taryn started working in the non profit field in 2001. After doing case management work for several years in New York City she left to open a restaurant, catering and events company with her husband. Throughout that time she stayed active in the non profit world, was on the board of a local community center and has volunteered for Girls on the Run as well as doing various volunteering for a local cancer center. Taryn is passionate about showing her 3 daughters that we can make a difference in the world and was inspired when she heard about the BOMA project. She is excited to be a part of the BOMA team as the Finance Associate.